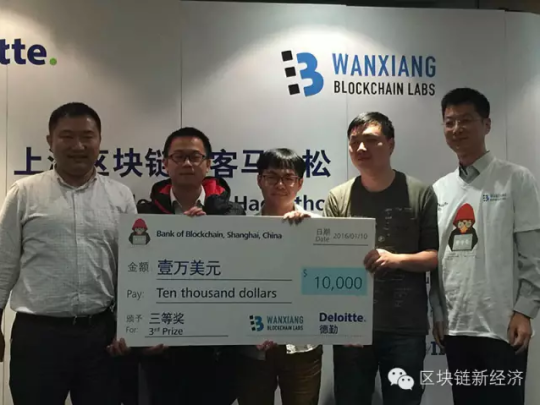 A project that proposes using blockchain technology to shift the traditional international trade business took first place and won the prize of USD 30,000 during the Shanghai Blockchain Hackathon hosted by the Wanxiang Blockchain Lab and Deloitte at the Bund Center. 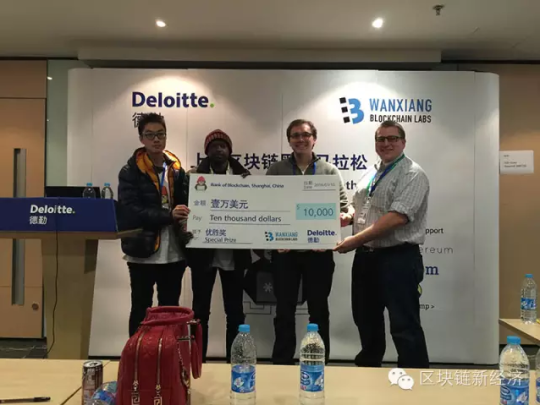 The winning idea was created by the CargoChain team, aiming to secure and transmit trade documents with lower cost and pollution. 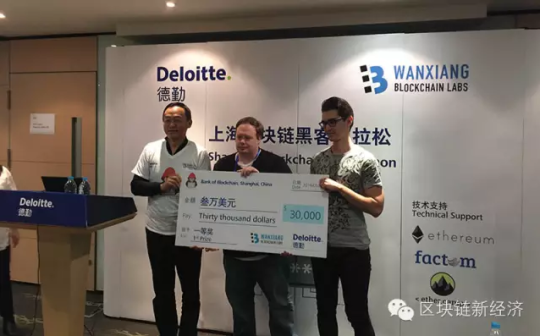 A plan from the Smart Property team that proposes creating smart contracts to assist property sales transactions took second place with a prize of USD 20,000. Third place went to the Medical Records team, which developed an idea, built on Factom, for a platform that uses blockchain technology to store medical records and prescriptions immutably, which could reduce the insurance fraud and costs with a simple medical history verification process. The Nevermore, Food Chain, Random Number Generator teams were awarded special prizes. 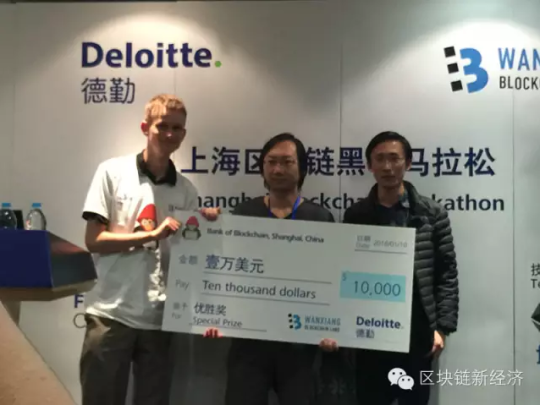 The FBS Capital special award went to the Bitsmile team, which came up with an idea for a mobile app that would integrate charitable donations with blockchain technology, making donations transparent with the ability to trace the flow of money for each transaction. The competition was fierce. 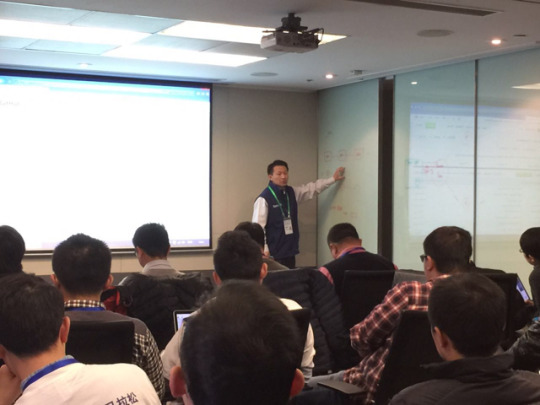 The other teams also presented excellent proposals with demos, and covered a wide range of application scenarios. 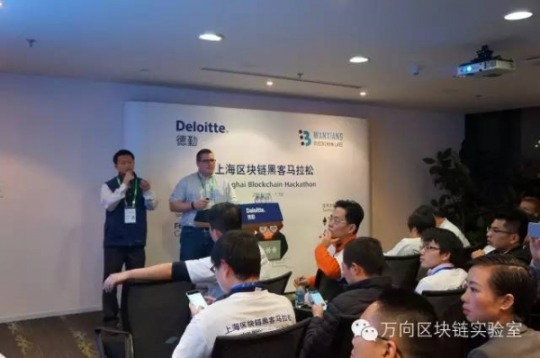 They included federated equity exchange, credit information sharing, RMB digitization and circulation, education certification, insurance agent credit rating and etc. 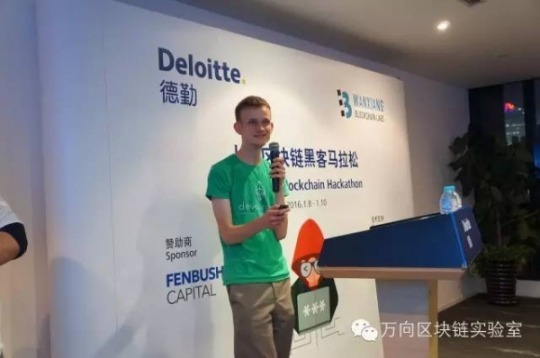 Today’s judges, who are renowned experts or entrepreneurs in the blockchain industry included, amongst others, Vitalik Buterin, Founder of Ethereum and David Johnston, Chairman of Factom. They reviewed all the final business plans and shared their insights on how they could be improved. 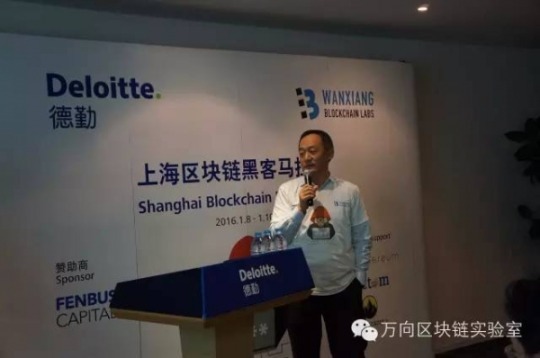 In his welcome address, the vice chairman and executive director of Wanxiang Group and the founder of Wanxiang Blockchain Lab, Dr. Xiao Feng, introduced the background of the lab and the series of projects launched since its establishment. 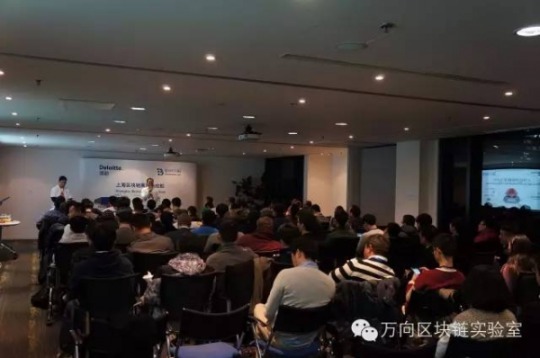 He also mentioned that a blockchain technology enabled cloud platform and a blockchain series of books are in the works. He believed the business plans presented during today’s competition would go on to influence business in the real world. 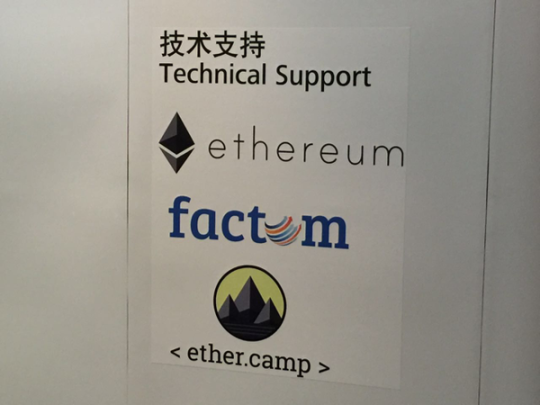 The proposals presented would plug into the blockchain ecosystem and further expand it. 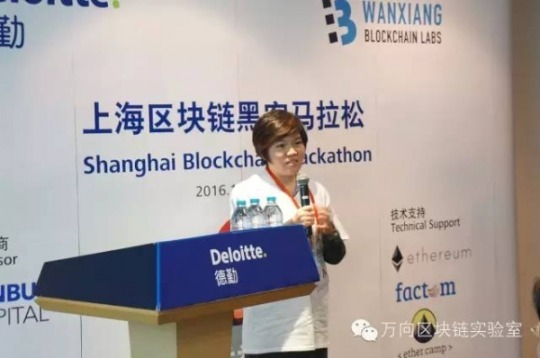 Ms. Qin Yi, Deloitte Partner for Asia Pacific, set the stage for the three day long competition with an informative keynote speech that introduced the research result and business progress of their Rubix team, a Deloitte blockchain technology R&D team established one year ago with more than 100 members across Ireland, Canada and other regions. One of the Rubix based applications is PermaRec, a global distributed ledger, connecting to SAP, Oracle and other financial reporting systems that enables real time verification, full coverage of trails for audit work and automated tax compliance reporting, and benefits both the users and regulators. 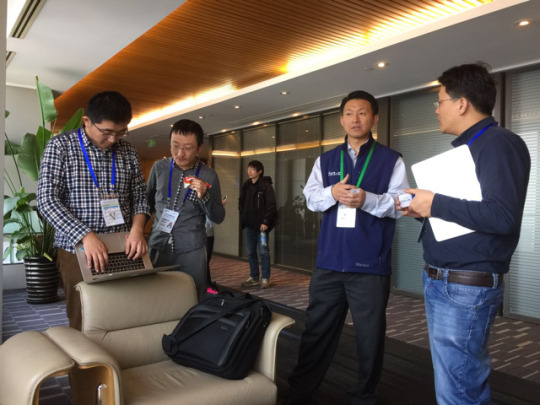 The hackathon attracted entries from more than 100 participants with more than 20 teams from around the world. 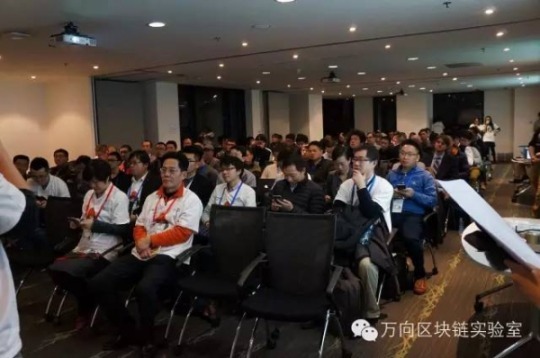 The large number of participants at the event is the evidence of the important advantages that blockchain technology brings to our social ecosystem. 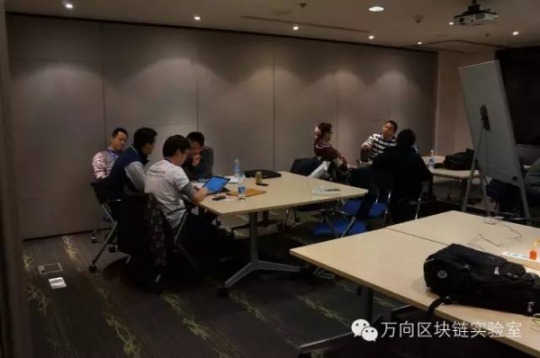 It also shows the influence the blockchain has had in China as well as its glamour to attract high level talents. 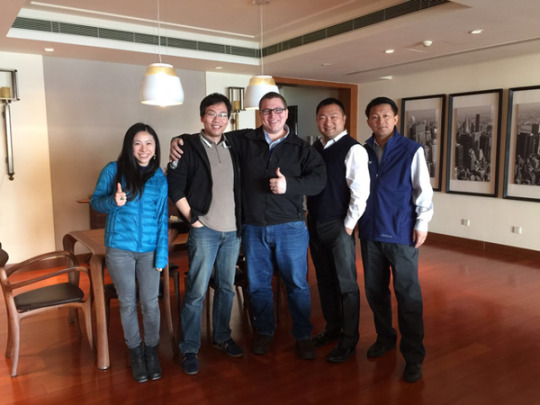 The past year has been a fruitful one for blockchain development. It has been the interest of the most influential worldwide financial institutions. 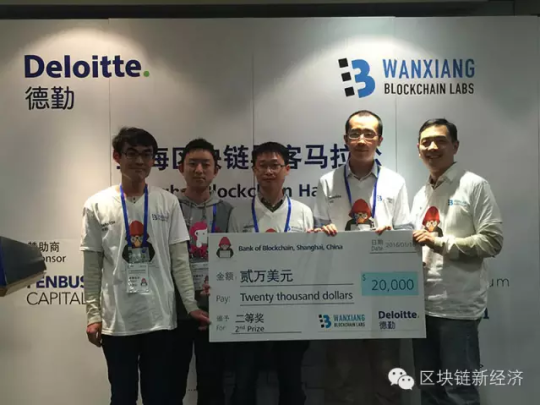 The Wanxiang Blockchain Lab has responded to the growing trend towards the increasing demand of such technology among the regulators, corporations, developers and venture capital by organizing the blockchain hackathon with Deloitte, to create an atmosphere and instrument of innovation and set up a bridge between business initiatives and capital through the interaction between research and investment. 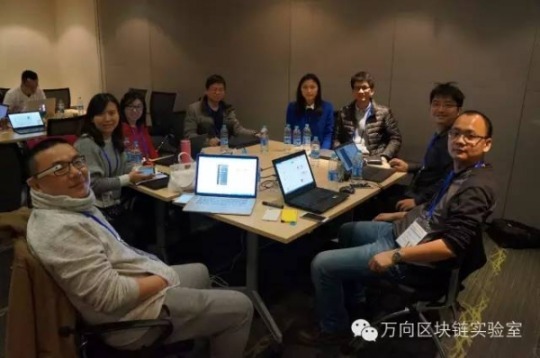 To better support them, the lab has also launched several new initiatives including a global sponsorship program, BlockGrant X, and training program, BlockTrain X, aimed at encouraging people to leverage this new technology creatively and drive innovation.